Steve Jennings/Getty Images for TechCrunchWhen she was growing up, her family of five lived on $US900 a month. San Francisco mayor Ed Lee died of a heart attack on Tuesday morning at age 65. His successor is London Breed, the president of the San Francisco Board of Supervisors. Breed is a native of San Francisco who grew up in public housing and described herself as a “life-long renter” in an op-ed last year. San Francisco Mayor Ed Lee died suddenly of a heart attack on Tuesday morning. 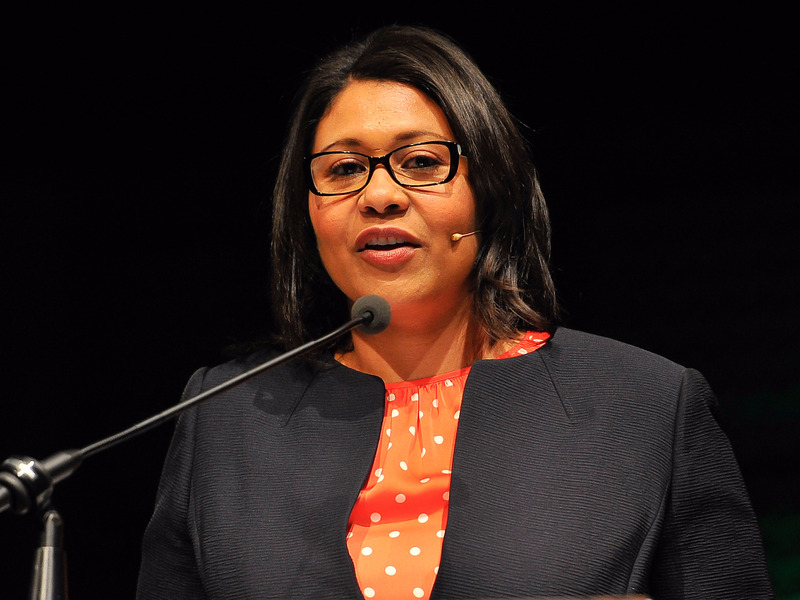 London Breed, the president of the San Francisco Board of Supervisors, has become acting mayor of the city – the first black woman to do so. Breed is a native of San Francisco who grew up in public housing. Her family of five lived on $US900 a month, she wrote last year in an op-ed for the San Francisco Examiner. “‘Recycling’ meant drinking out of old mayonnaise jars. Violence was never far away. And once a week, we took Grandma’s pushcart to the community room to collect government-issued groceries,” Breed wrote. Breed became a San Francisco city supervisor in 2012 and board president in 2015. She was reelected for another two-year term as president in January 2017. Breed’s salary as president is unknown, but members of the board earn $US113,851 annually. Still, according to the op-ed, she was renting an apartment as recently as 2016. “I am life-long renter, living in a rent-controlled apartment with a roommate. Our landlady recently passed away, and our building just sold. To this day – as president of the Board of Supervisors – my housing future is uncertain,” she wrote. As city supervisor, Breed has helped create more affordable housing throughout San Francisco by passing zoning regulations and increasing affordable housing requirements. According to Zillow, the median rent in San Francisco is $US4,450 for non-rent controlled apartments, while the median home price is just under $US1.2 million. Earlier this year, an American City Business Journals’ analysis revealed Lee was the highest-paid big city mayor in America, earning an annual salary of $US289,000. It’s still uncertain whether Breed will serve out the remainder of Lee’s term and how much she will earn in the position.